Look closely through the trees of Brunswick Forest, and you might just spot a hog coming down the road. Actually, many hogs live throughout the sprawling community, just not those of the wild variety. The Hogs in the Forest is a group of Brunswick Forest residents who share a passion for motorcycles and a love of the open road. 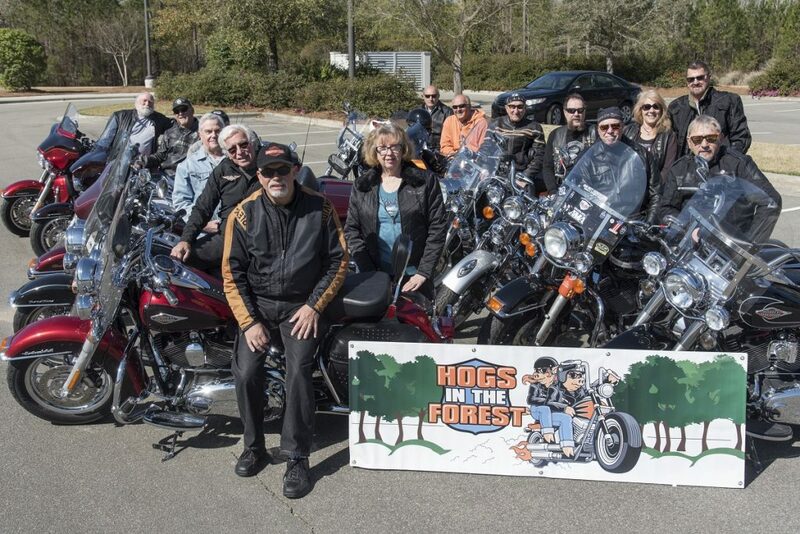 In early 2012, John D’Abrosca came up with the idea of Hogs in the Forest while chatting with a fellow motorcycle enthusiast at the community wellness center. Recognizing the large number of bike riders living in Brunswick Forest, D’Abrosca and a few neighbors decided to create an informal group open to all motorcycle riders in the community. 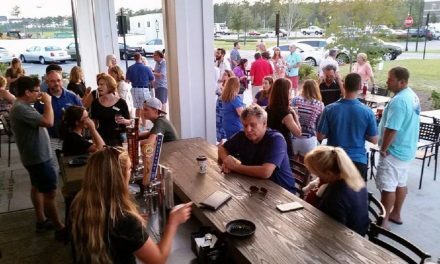 Although the group has grown in size over the past few years (currently standing at approximately 40 members), it still manages to exude a small, casual feeling. There are no officers, no official website, and no mandated meetings. Communication between bikers occurs exclusively through an email distribution list managed by John’s wife, Nancy. “My wife keeps a list of people in Brunswick Forest with motorcycles. We have riders from every neighborhood. Word gets out that there’s a motorcycle group, and they just contact my wife and she puts them on the email list to be included in any plans and correspondence,” says John. 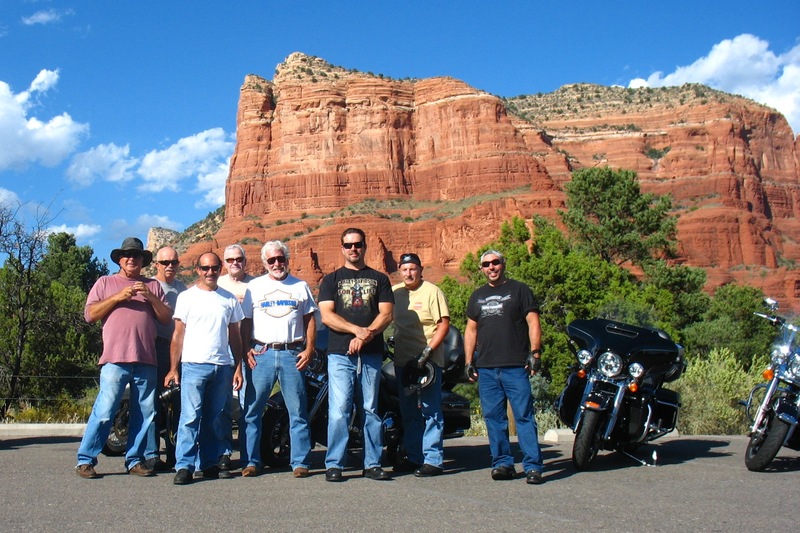 The Hogs in the Forest is made up mostly of men in their 50’s through 70’s, as well as the wives who ride along with their husbands. A few of the ladies own their own bikes as well. Regardless of whether they’re the driver or the passenger, all members share one thing in common: a love of all things motorcycle. John’s wife, Nancy, is quick to say what she enjoys most about being a part of the Hogs. “They’re not a tough group at all, but they have beautiful bikes, nice toys, I join them on some overnight trips, rides out for dinner, or short rides. I’m not a long-term ‘on the back of a bike’ person, but I love the clothing, I have all the outfits you would ever need as a biker!” laughs Nancy. 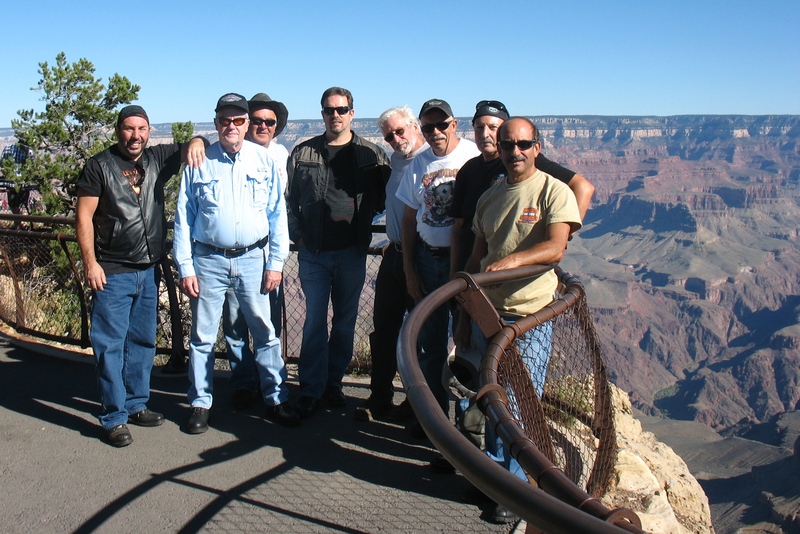 The Hogs ride together at least once a week, and anybody in the group can organize a ride. From weekends to weekdays, early mornings to late afternoons, and during every season of the year, members are riding. 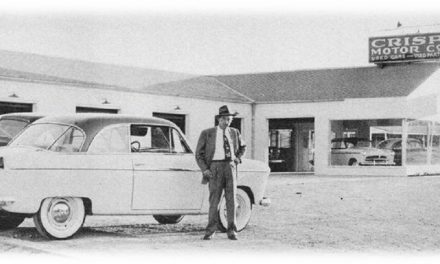 “We’ve been all over North Carolina. We just got back from the Outer Banks, we’ve gone out to the Blue Ridge Parkway, and we go to eastern Tennessee once in a while. It keeps us busy,” says John. 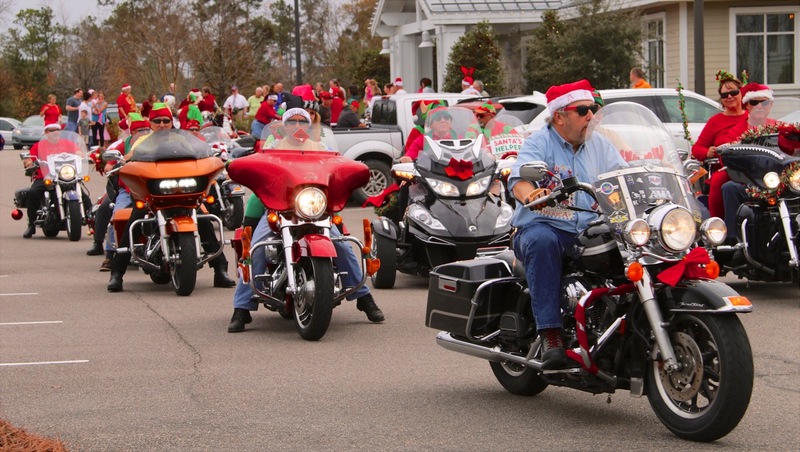 The group also organizes a few long distance rides each year. Members fly out West where rental bikes await the Hogs at their destination. The biggest event every year for the Hogs doesn’t revolve around any of these organized rides, however. 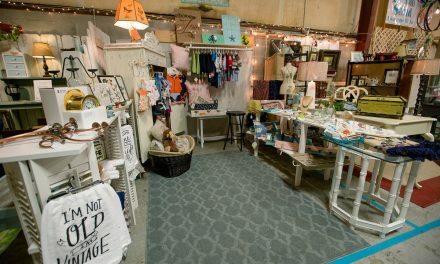 Led by John’s wife, Nancy, and several of the other women, the group holds a charity fundraiser in coordination with the Brunswick Forest wellness center. From before Thanksgiving until a few weeks before Christmas, the Hogs join forces with community residents in an effort to collect food donations for Leland’s Manna Ministries, as well as pet food donations for the Brunswick Animal Shelter. 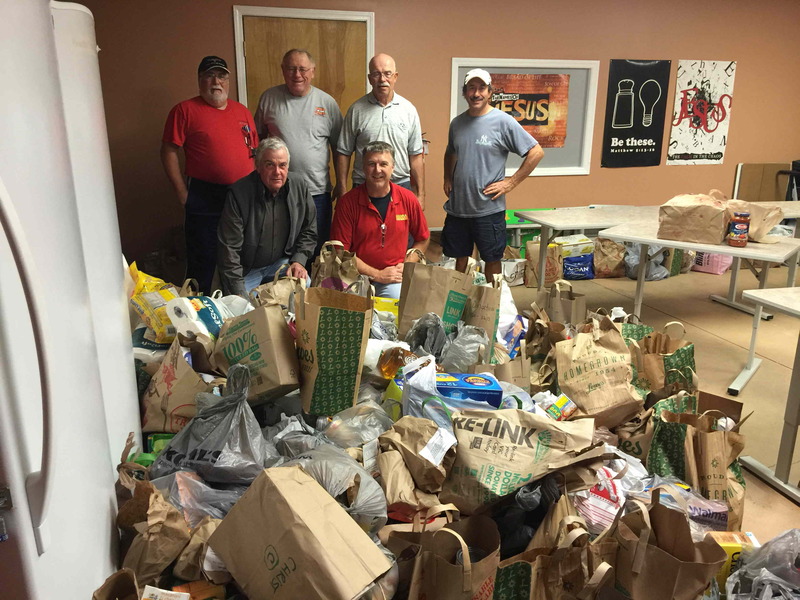 Last year’s fundraiser resulted in a collection of over three truckloads full of food. In conjunction with the food drive, the Hogs in the Forest also organize the yearly Christmas party for the children of Brunswick Forest. 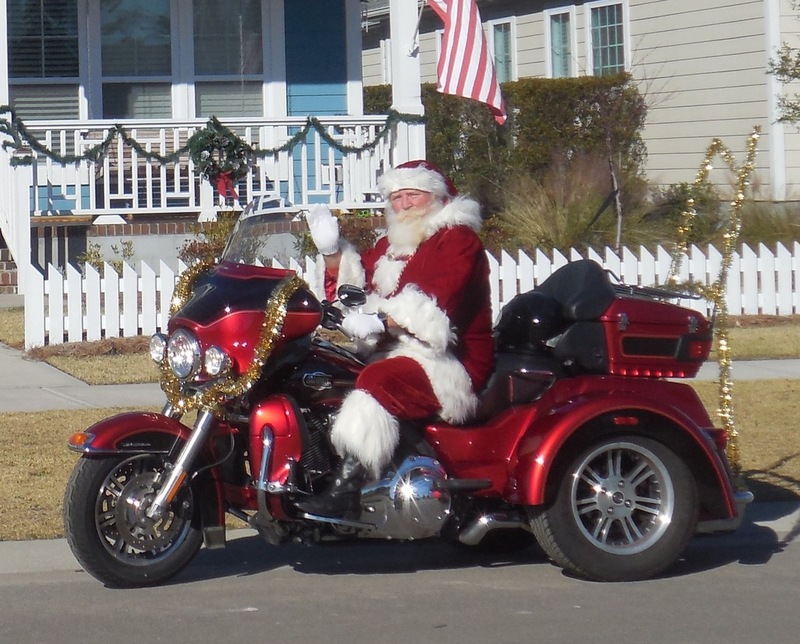 Festivities include a holiday celebration at the wellness center and a Christmas motorcycle parade around the neighborhood. 2017 will mark the fourth year that the Hogs in the Forest will organize Brunswick Forest’s charity food drive, Christmas party, and holiday parade, traditions that have become such an important part of the group’s mission. 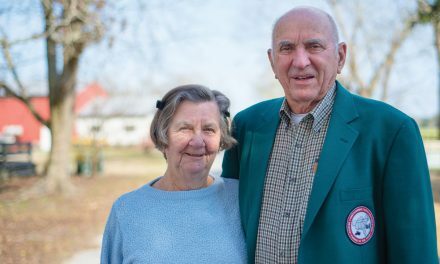 “We’re just a group of mostly retired people who have a passion for riding. It’s fun to get together and ride, and if we can do something to give back to the community once a year, we make that a big deal. It’s a little bit of a purpose for the group and is very well received by the whole community, so we are very proud of what we do here,” says John.